The Gemini Full Moon falls November 23rd 5.40 am (GMT) at 0º52′ of the zodiac sign. The moon will be in sparkly, gorgeous Gemini, with the sun shines in Sagittarius alongside Jupiter (and Mercury). Jupiter will be making a hard angle to Mars in Pisces, while the ruler of this Gemini moon (Mercury) is retrograde. To add further complications, Mercury will clash with Neptune! 1. Have Faith But Stay Woke! Not only will Mercury Retrograde begin to stir the waters, we have what’s known as an angsty ‘T-square’ between a whopping six planets. The sun, moon, Jupiter and Mercury, plus Mars and watery Neptune, and the moon all appear at different points of the mutable cross-roads. This full moon is very influential for those born under Gemini, Virgo, Sagittarius and Pisces – the ‘mutable signs‘ – especially those born at the beginning and middle of those signs. Do not succumb to a crisis of confidence, maintain your purpose and resolve even if the full moon prompts a pause. It’s a funny time to feed yourself too, as the moon is very much about self-care and nurture. Stock up the cupboards on this weekend but don’t delve too far into the cookie jar! Jupiter spells excess, while Neptune could quite literally have you forgetting what you’ve eaten and you could think (Mercury) you’re longing (Neptune) for more (Jupiter!). Sagittarius and Gemini represent the two polarities of communication, learning and expression. The sun is lighting up Sagittarius values – broadcasting higher knowledge, wisdom and philosophies that have been developed. However, with the moon full in Gemini little bits of INFORMATION can come to light! For me, honesty is always the best policy but the truth could be hard to grasp now. One of the gorgeous things about Neptune is he’s the planet of glamour, dreams, artistic vision – including musical talent, and governs the soft lens of the silver screen and our selfies. However with this harsh aspect between the sun, moon and Neptune we’re prone to delusion, deceit, kidding ourselves – even lying to ourselves about how we appear! Perception might be off on this full moon so over the weekend of the 24th – 25th November just be sure you’re coming across as you’d like. Use an extra dose of realism and be authentic with your self and others. You KNOW I’m a massive advocate for getting a good nights sleep, however with the full moon peaking at odds with dreamy Neptune, our slumbers could be WILD! Avoid drugs and alcohol on this weekend at all costs. 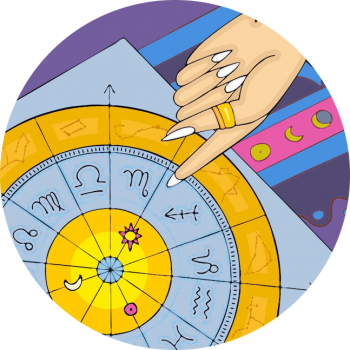 Neptune will give you enough crazy visions to contend with! By all means meditate but pass the reefer on a way more casual celestial occasion. Remember the moon is our feelings, and Neptune is mighty confusing, overwhelming even – not a recipe for clear thinking. Think pure thoughts, no gossiping. Is it time for a wardrobe detox hun? One of the amazing things about this full moon’s aspects is it helps us acknowledge the mutable signs Sagittarius and Pisces. While generous Jupiter in Sagittarius brings out our desire to help others from an uplifting, justice-oriented perspective, Neptune and Mars in Pisces helps us focus on the less fortunate. Neptune is very much the planet governing sacrifice and compassion, and helps us reach out to suffering victims. Jupiter in Sagittarius will help us to extend our hand to foreigners and people overseas, so donate in abundance! Alyssa Milano, Jake Gyllenhaal, Tina Turner, Milla Jovovivh, Edith Piaf, Julianne Moore, Sia Furler, Jeff Bridges, Billy Idol, Billy Connolly, Daryl Hannah, Teresa May and Julie Delpy.